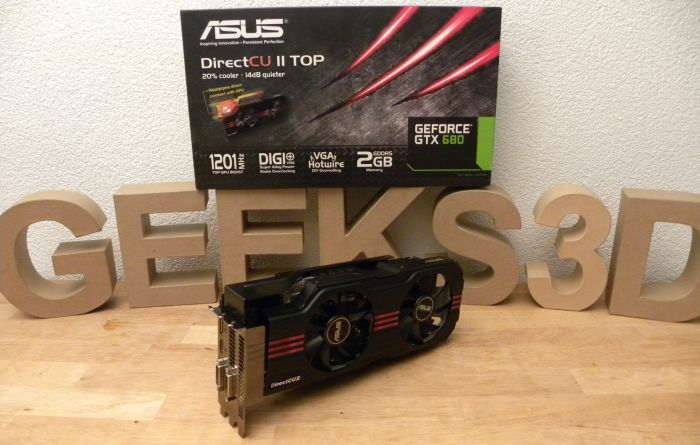 Priced at around USD $550, the GTX 680 DC2 TOP is one of the fastest GTX 680 on the market. The custom PCB, a strong power circuitry (8-phase for the GPU and 2-phase for the memory) and the wellknown and efficient DirectCU II cooler are the ingredients to make the GK104 GPU happy and ready for being tortured. If you need a fast and reliable GTX 680, you’ve found it. What’s more, the hardware is nicely completed by a good software side, I means ASUS GPU Tweak, a GPU overclocking tool that works fine and is not limited to ASUS’ cards.